Ninowtzka Mier, was born in South Florida, and studied law New York Law School in New York City. Ms. Mier assists her clients, who have been involved in auto and boating accidents. She works with her clients and insurance carriers to assist in resolving matters involving bodily injury and property damage. After graduating law school in 2002, she joined Kaye, Rose & Maltzman, where she was immersed in maritime and admiralty law, defending medical malpractice and complex tort litigation. In 2004, she worked with Fowler White Burnett, where her practice shifted from maritime law to insurance defense. She and her colleagues developed litigation strategy, handled pre-suit demands, and defended competing claim settlement negotiations. In 2006, Ms. Mier joined Robinson Pecaro & Mier, P.A., where she continues her insurance defense practice. An avid writer, Ms. Mier published a short story, “A Change of Plans”, in a book compilation entitled, Counting the Years, published by Resilience Multimedia, about the effects of incarceration upon families. She authored a number of articles for the online journal SUE, The Magazine for Women Litigators and was a guest blogger at the Estrin Report. 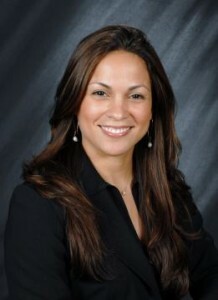 Ms. Mier works with Legal Aid Services of Broward County on a pro bono basis. Her specialty is assisting victims of domestic abuse remain in the United States legally under the Violence Against Women Act (VAWA). In addition, she participates in the Books and Breakfast program at Pace Center for Girls in Broward County, she and other legal professionals read a book chosen by the Pace girls over breakfast. She was also Leukemia Lymphoma Society’s (LLS) runner up for Woman of the Year (2012). She raised funds for cancer research and participated in a triathlon for LLS in memory of her late sister, Helen.